According to UNICEF, 200 million children aged under 5 has stunted growth, and 1/3 of all deaths in children aged under 5 are attributable to malnutrition. 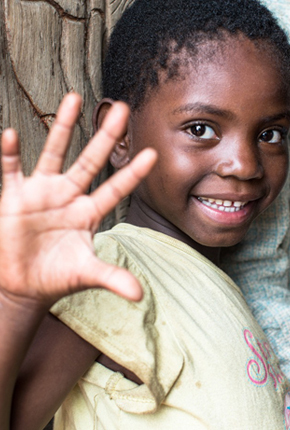 The first 5 years in life are crucial to a child’s development. To help eradicate the problem of undernourishment, Nutrilite™ has specially designed Little Bits™, a micronutrient supplement containing 15 essential nutrients essential nutrients. The Nutrilite™ Power of 5 Campaign was launched in 2015 by Amway Corporation, and in Hong Kong in 2016. Join now to help fight childhood malnutrition. Visit powerof5.nutrilite.com or click here to learn more about The Nutrilite™ Power of 5 Campaign. 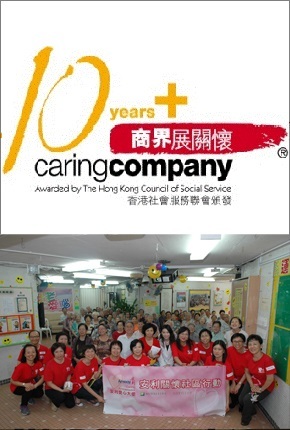 Amway Hong Kong is proud to have been awarded the “10 Years Plus Caring Company Logo” by the Hong Kong Council of Social Service in recognition of its commitment to sustainability and sound corporate citizenship. Over the years, Amway Hong Kong has joined hands with various non-governmental organizations to run a number of different community activities. This is the 13th consecutive year since 2005 that Amway Hong Kong has been granted Caring Company status and met the scheme’s criteria in terms of caring for the community, caring for its employees and being responsible towards the environment. Amway Hong Kong was proud to be awarded certification under the Hong Kong Q-Mark Service Scheme again in 2017. The Hong Kong Q-Mark Council runs the scheme under the auspices of the Federation of Hong Kong Industries. Regular and strict surveillance audits were performed to make sure every company being awarded certification provides consistent standards of high-quality service to their customers. With its customer-oriented attitude, Amway Hong Kong was affirmed to be successful in providing service that is both professional and hospitable. 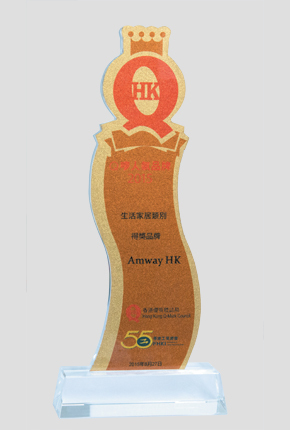 In 2015, Amway Hong Kong won the “Q-Mark Elite Brand Award” of the Lifestyle Home Category, gaining the support from the public for Amway’s products and services. “Q Mark Elite Brand Award” is held by the Hong Kong Q-Mark Council, who aims to let the public to have a better understanding of the Q-Mark Certification. Voters had to select the most popular brand with Q-Mark Certification out of 18 brand categories. In the future, Amway Hong Kong will continue to strive to provide quality services for its Distributors and Privileged Customers. 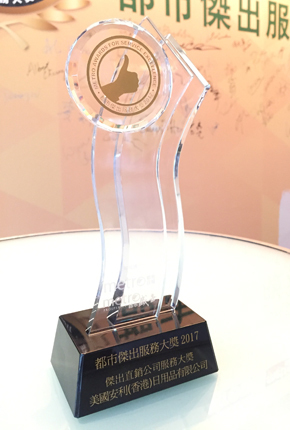 Amway Hong Kong Named "Outstanding Direct Selling Company for Service Excellence" at "Metro Awards for Service Excellence"
Amway Hong Kong was once again named “Outstanding Direct Selling Company for Service Excellence” at the Metro Awards for Service Excellence 2017, organized by Metro Daily and Metro Prosperity. As the leader of the direct-selling industry, Amway is committed to providing a perfect business plan with diverse products to promote a positive corporate image and provide quality services to its customers. Apart from Merchandising Centres, the Amway Experience Centre in Mong Kok provides comprehensive services to its customers, from product experience, demonstration to professional health and beauty consultation services. In addition, Amway is devoted to improve its online shopping platform to deliver the best experience from online to offline. 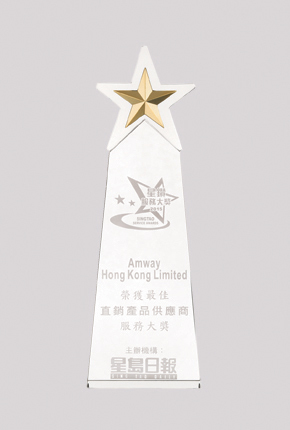 Amway Hong Kong was honoured to receive the best “Direct Selling Company” award for the eighth consecutive year at the 2015 Sing Tao Excellent Services Brand presentation. The award recognizes Amway’s brand awareness and service excellence, and acknowledges the way the company understands the needs of its customers. The Sing Tao Excellent Services Brand is an annual event that has been run by Sing Tao Daily since 2006. It aims to give recognition to outstanding businesses that deliver excellent services to customers and the community in Hong Kong. Amway Hong Kong is dedicated to fulfilling the corporate’s vision of helping people live better lives. 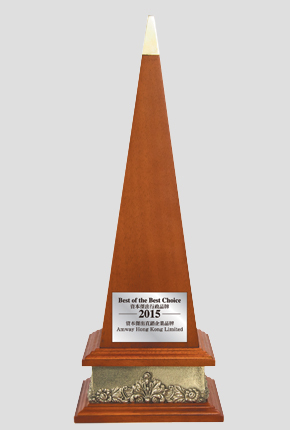 After the review by the adjudicators from the business industry, Amway Hong Kong was named “Capital Best of the Best Choice for Executives 2015 – Direct Marketing Enterprise” of Capital, the magazine of South China Media, in acknowledgement of Amway Hong Kong’s outstanding performance. In the future, Amway will continue to promote the development of the direct-selling industry and enhance the professional status of the industry. Amway Hong Kong has been dedicated to implementing various energy-saving and waste-reducing measures, such as installing energy-efficient lighting systems, encouraging its staff to save energy, recycling and sourcing materials that is made of recyclable material. 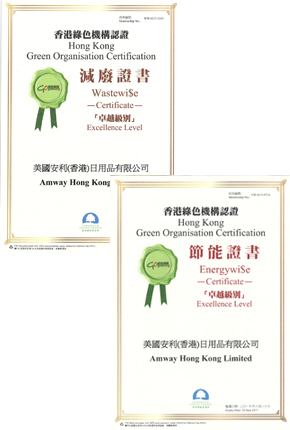 In 2017, Amway Hong Kong was awarded the Wastewi$e and Energywi$e Certificates by Environmental Campaign Committee for the seventh and sixth consecutive years respectively. These acknowledge the company’s efforts in terms of waste reduction and energy-saving.